English language classroom of Ms Tenzin Cheokyi la who is teaching grade one & two at TCV School Gopalpur. 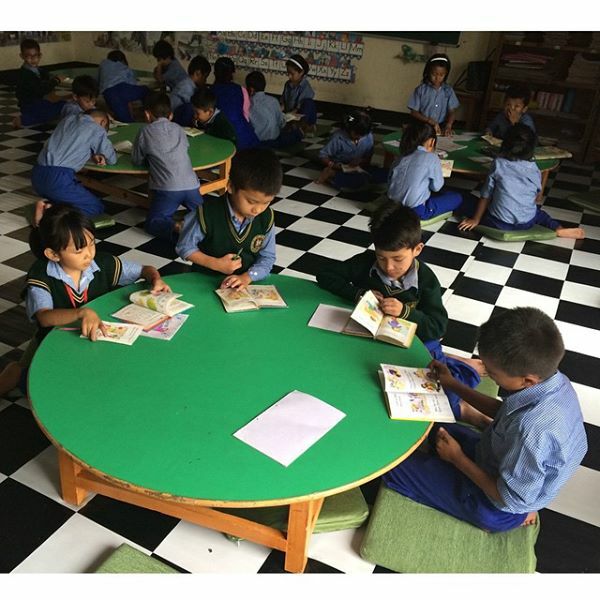 The classroom has a mini library, flat-TV, audio-player, flash cards & other teaching resources, as well as walls covered with pictorial stories (educationally it's called print-rich environment). I was highly impressed with the changes taking place in our schools at the grassroots level. Hats off Gen Tenzin Pelmo la, Gen Sangpo-la & everyone involved.